I gave a $1,100 watch last year as a gift and I just saw Watch Box selling it for $2,500. The question is more, do you think this LE will sustain that price? I think we're likely to see it settle near $1,000. 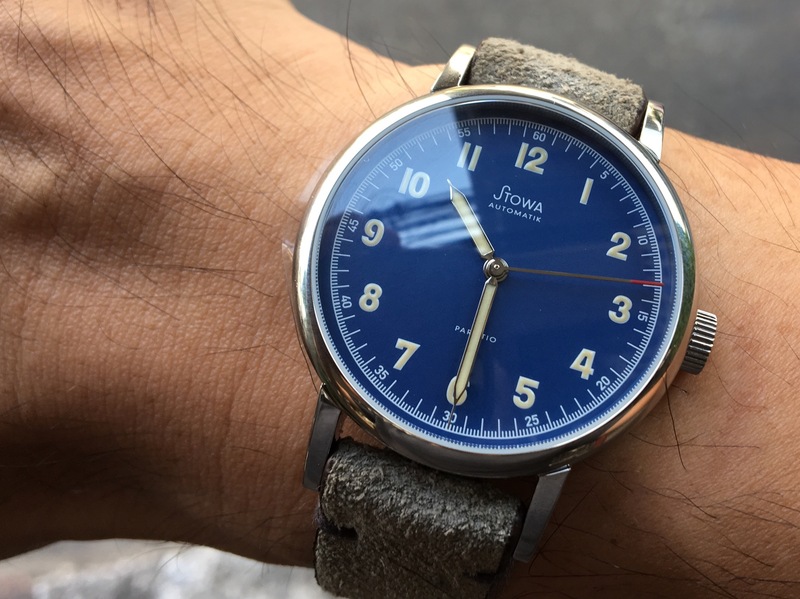 Taking into consideration how beloved Stowa and the Partitio are and the fact that only 100 of these blue ones exist you are probably correct in your $1k estimation although I don't see these going up for sale very often so maybe that will affect the price as well. Fikk, flaccidaardvark, JacobC and 3 others like this. Just got my shipping notice! Looks like it will be here Thursday! Are you in the group of February 25 units? not sure, how do I find out which group I'm in. I ordered before Christmas if that helps. Seeing this thread way late - that is a beautiful blue color. And I do like the red tip on the seconds hand. I found this after the original batch had sold out, so I signed up for the email notification a while back for any additional stock. Got an email this morning, and made sure to place my order immediately. Just checked again and they are showing sold out again, so glad I pulled the trigger. Sounds like these ship directly from Stowa in Germany, correct? Now I can't wait to get it on the wrist! I got the email too. When I signed up to receive the alert, I thought it was kind of pointless since it was an LE and was sold out. When I got the email, I was shocked. I clicked on it and checked it out for a minute but didn't have time to purchase at that moment. I was going to revisit a little bit later. By the time I went back, it was gone. Oh well. Glad you got one. Enjoy it! Sounds like these ship directly from Stowa in Germany, correct?